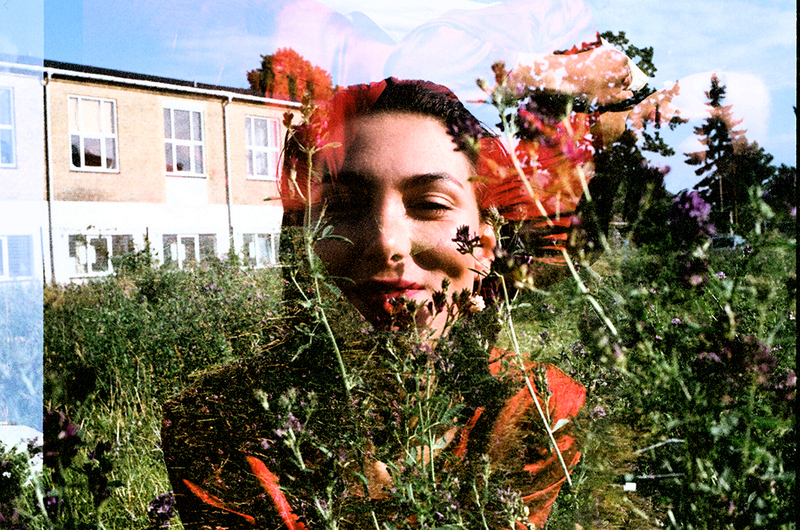 DOWNTOWN 500 MAGAZINE GOT THE JOY OF GETTING TO KNOW SOHO REZANEJAD THROUGH OUR TOMBOY’S CONNECTION IN DENMARK. WHEN WE HAD THE CHANCE TO LISTEN TO HER DARK ELECTRO TRACKS, WE GOT STUCK IN HER-OBVIOUSLY. SHE LIVES IN COPENHAGEN IN DENMARK. SOHO WAS COLLABORATING WITH “LUST FOR YOUTH” AND KASPER BJØRKE, YOU WILL FIND MANY OF HER MUSIC ON-LINE… NOW SHE IS TOURING EUROPE AND USA IN HER SOLO VENTURE THIS FALL. YOU SHOULD CHECK HER DARKNESS OUT! THE DARKNESS? DT 500 MAG: – Give us one image to get who you are? SOHO: – From time to time it’s healthy to check on yourself and make sure you are going the right direction, but if I were to sustain an image of myself all the time, I wouldn’t be able to progress. I am not a particular person. A person like that is a person enslaved by other people’s thoughts. DT 500 MAG: – Where did you grow up? SOHO: – I grew up with my parents. First in a refugee camp outside of Copenhagen, then my parents decided that they were going to move into the city. Iran was no longer an option to return to. They raised me Western because they felt like foreigners in their native country. My mother fought for the rights I have today. My father too. At night, he would tell me his poems, and she would sing to me in Farsi. DT 500 MAG: – There is ”Idolatry,” ”Catch the Girl,” ”Every day Another Holiday” -GREAT WORKS! Soho, what is agenda? SOHO: – The record is a rendition of hunger and a search for someone I’m getting closer to. DT 500 MAG: – Any tips on how to be more free and creative? SOHO: – When you find a familiar pattern, it is asking to be broken so you can move on to the next thing to break. If something scares you, just take a look at it and see it for what it is. It won’t scare you anymore. DT 500 MAG: – there are plenty of creative spots in your work, tell us more about your crew? SOHO: – I took the Idolatry record of my friend Miccel Mohr after I lay down the framework. He has his own style of working, different from mine. He is very precise and versatile. We re-recorded the synths in his studio and tweaked the percussive details together. I generally work with people who show me concretely what they want. DT 500 MAG: – Can you describe your rare vocal decibels? SOHO: – I met a man in Berlin during the winter who I fell into a long conversation with about transsexualism. He had very long hair and beautiful piano fingers. A masseuse. I asked him to feel my back. He thought of me as a boy growing into a woman. That stuck with me for a while. I was glad to hear from a stranger that I was becoming. Then I found out that the throat is built like a rubber band. Stretching your low octaves also expands the elasticity of your high ranges. DT 500 MAG: – Your lyrics and sound waves can be pleasantly diverse. When you think about the electro, synth or techno in the context and the rhythm of your identity – what emotions or feelings are tied into it? SOHO: – I grew up listening to diverse music, everything from Diamanda Galas to The KLF. From Gregorian chanting to Iranian sonata. I’ve set up a projector in my studio. It plays all the classic films of New York City in the 70’s. They get me closer to a narrative. DT 500 MAG: – Copenhagen vs Soho Rezanejad? SOHO: – My studio inspires me. The water next to my home. The community in Mayhem. The beautiful souls in Warehouse9. Posted in HOME and tagged arthur sopin, danish synth, dansk, downtown 500 magazine, dt500 mag, gold lip, Idolatry, silicone records, soho, Soho Rezanejad, synth. Bookmark the permalink.